Would you agree, It is easier to concentrate on something that is NOT good for us than to concentrate on things that are beneficial to us? Dwarfs can do the work of giants when transformed by the awesome magic and power of mental concentration. Giants will only do the work of dwarfs without the power of mental concentration. 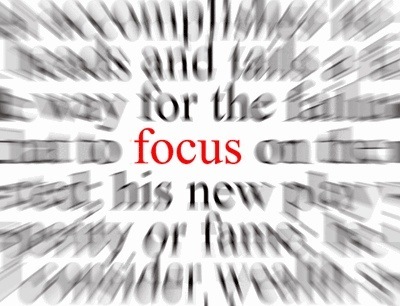 Allow all your acts and thoughts be met with the power of concentration. Look for the good in everyone and everything. We get back what we give out. Most excuses are poor substitutes for action. I believe every man can be a success if their willing to pay the price,that price is NOT in money but in effort. The man that wants to be successful has an abroad mind. The secret to success is to always be looking for ways to improve yourself. An untried man is rarely put into a higher power or in a position of leadership. It is a shame how so many men and women that are RICH in ability and talent are allowed to let it all go to waste. With the right kind of training any man can be a success. You usually have to take the right road alone. No one man can do this for you. Independent will power is a better asset than money. Very often you will be misunderstood by family and friends. Everyone wants to be something BIG, but very few will put forth the effort and sacrifice to secure it. The bigger the man the smaller the obstacle appears, the smaller the man the bigger the obstacle appears. Always SEE your advantages and the benefits you will gain by overcoming BIG obstacles.